The island’s favorite sport of “football” has a date to remember: April 22, 1930. 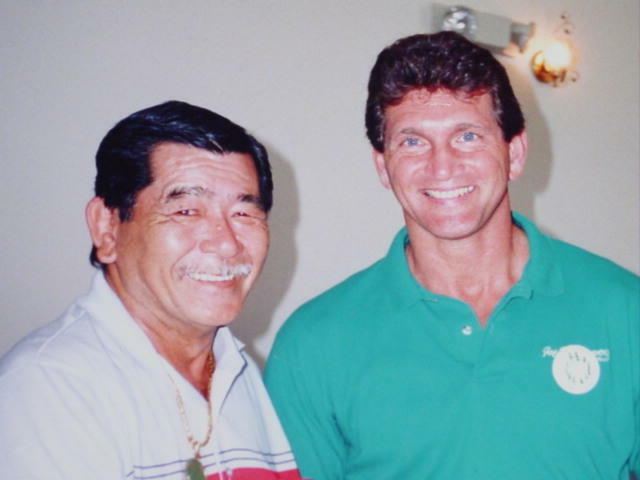 On this date in Maui, Hawaii Harold “Hal” Shiroma was born. Known by many as the “Godfather of Football” Hal, the youngest of three sisters and one brother, was raised the old “Hawaiian Style” which is not commonly seen in Hawaii today. After his first team practice in organized football, the coach quickly assigned Shiroma with offensive center and defensive linebacker duties based on his size and strength. His accomplishments are still recognized to date, as school officials at Farrington High School honored their most valuable players by the placement of pictorial memorials within their facilities. 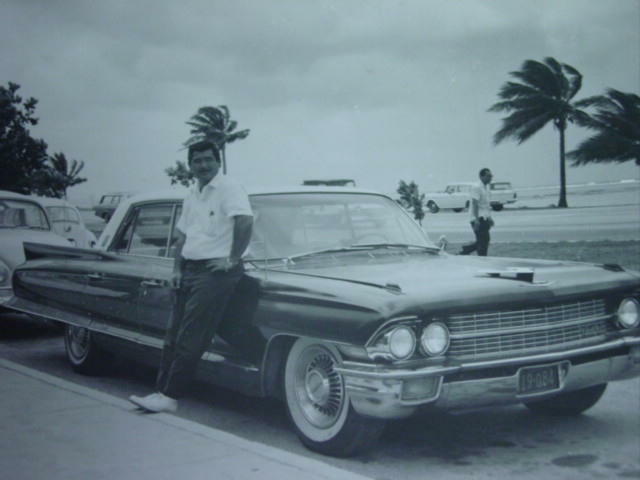 On September 18, 1952, Hal with one suitcase and his flamboyant Hawaiian Style arrived on Guam to assist his sister in managing a small family restaurant she had recently opened. Shiroma initially took residence in the village of Asan. After 5 years on-island Hal finally found the Chamorrita he had been looking for, and in 1957 he married Ms. Lourdes Wusstig Santos of Yigo. 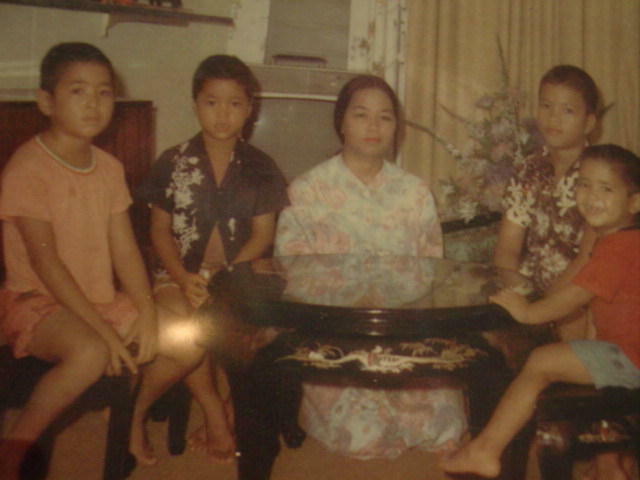 Not to long after Bill, Buzz, Ivan, Tai and Blu made up the first generation Shiroma family on Guam. 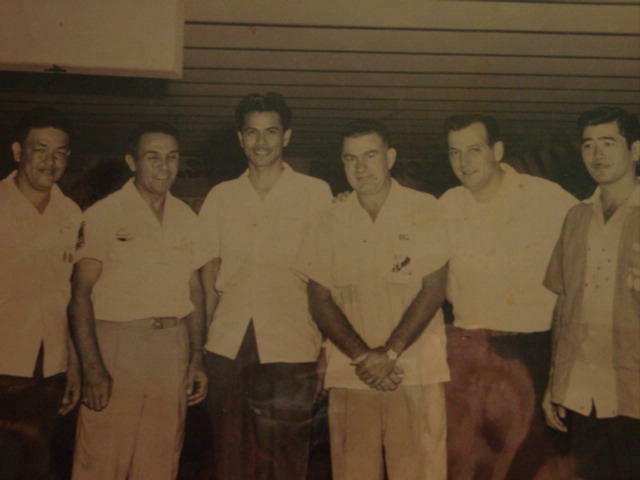 Shiroma continued his bowling career and achieved his most notable accomplishment in November 1958. A match game was set between a visiting off-island professional and Shiroma, who at the time was one of the most respected bowlers. Shiroma in front of 800 local bowling enthusiasts, bowled a 300 game making bowling history at the Guam Bowling Center. 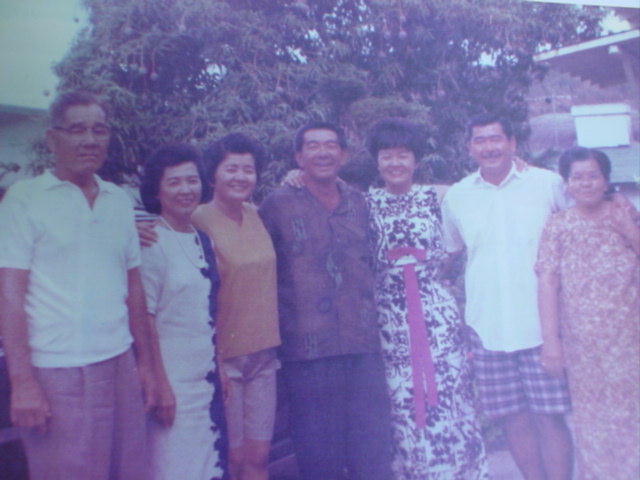 Upon closure of the small family restaurant in 1960 Shiroma then began work for Mr. F.L. Moylan and committed 17 years to the company, which still opens its door today. 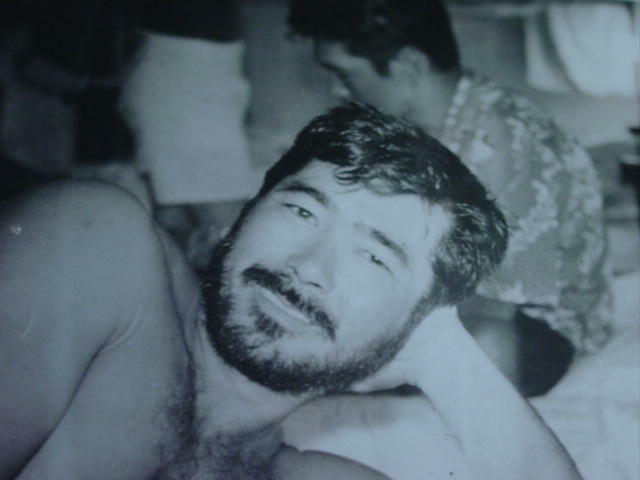 Shiroma then decided to become an entrepreneur, he then opened Hal’s Acres (fast food, beer garden and pool hall) until Typhoon Pamela ripped through Guam. Shiroma then acquired rental units and sought contractual and consultation contracts to provide for his family. 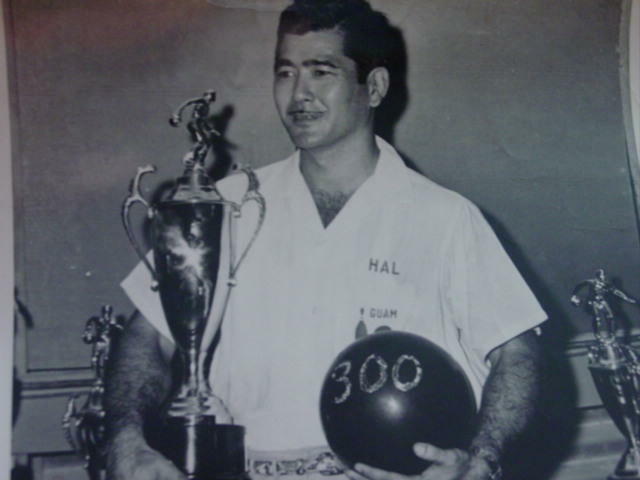 As his children grew older and began to participate in both baseball and football leagues, it was then that Hal found his calling and the establishment of his creed “Tradition of Champions”. 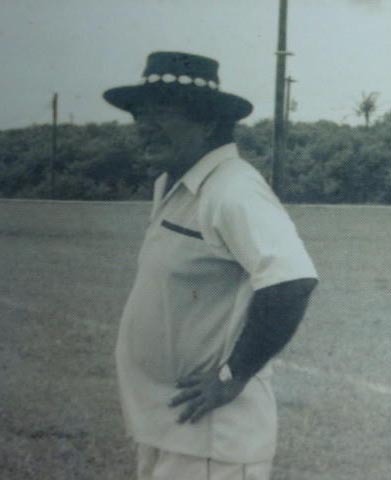 Shiroma assumed offensive coaching duties for the midget division of the Tamuning Eagles in 1969, which at the time was a Navy sponsored youth league. Being a supportive father, Shiroma followed his sons as they began competing in the high school level. Shiroma not only coached for the high school his sons’ attended, but also maintained his duties at the youth level. Shiroma’s visionary capabilities made him an integral part of the youth organization and quickly moved up the organizational ranks. This not only marked his commitment to the sport and its growth, but also contributed to the honorary title of the “Godfather of Football” which the community has bestowed upon Shiroma. With two of his sons, Ivan and Buzzy, Shiroma would accomplish yet another astonishing feet by winning the 1976-1977 high school championship with the VocTech Friars. The championship was the first championship for the Friars. The Friars were unable to repeat as champions till the 1992-1993 season. Shiroma again followed his older sons, as they intended to participate in the military’s varsity league. 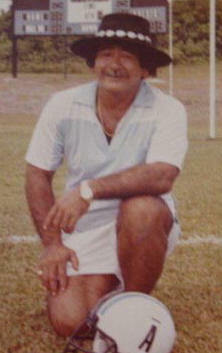 Shiroma assumed Head Coach responsibilities for the UOG Tritons and won three straight championships from 1979 through 1981. The varsity league, after close to 33 years on-island folded following Shiroma’s third championship. 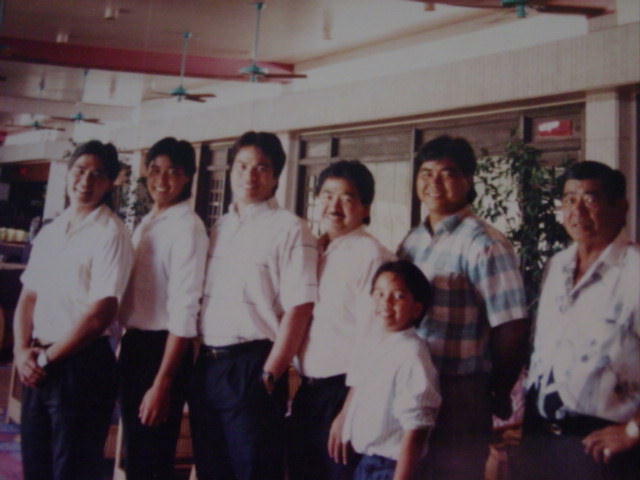 Shiroma again proved his commitment to the growth of football, when he solely decided to leave the powerhouse Tamuning Eagles alone to provide parity in the youth league. During the 1983 Hal’s Angels expansion season with initial intentions to field only a midget division, the over zealous Shiroma astonished league coordinators by fielding teams in all three divisions. Shiroma’s became involved in the development of fields with completion of the Wettengel Filed also known as “Angel Field” in 1984. 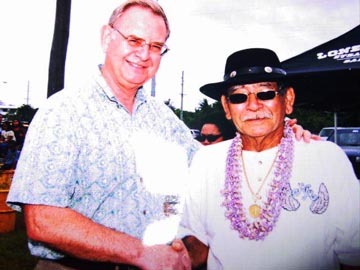 Shiroma’s continuous efforts to enhance the level of competition and provide appropriate fields of play continued on his quest, which some fields are still in use today, such as; Barrigada Marauder Field and the Ipan Southern Cowboy Field (no longer exists). Shiroma was so brilliant in these endeavors, that Governor Bordallo asked Shiroma to build baseball fields, which to date are in use; Yona baseball field, Asan baseball field, Agat baseball field, and the Dededo baseball field near “Angel Field”. In addition, Shiroma initially broke ground, cleared out the 18-hole course for the Guam Municipal Golf Course in Dededo, which another vendor completed. Shiroma assisted league organizers to provide the island youth an opportunity to compete off-island, as well as broaden their horizons’ with there outlook in life when in 1970, youth football initiated their annual goodwill trip. Shiroma has traveled annual since 1970 to the Philippines, Okinawa, Japan and Hawaii, never losing a midget division game. 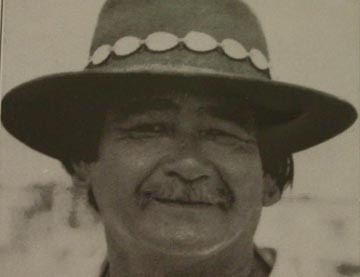 Although many of Shiroma’s accomplishments may become forgotten, his legacy as one of the most feared and loved local football legend will live forever. His unforgettable commitment to the growth of football and to the thousands of our island’s little football players, cheerleaders, parents, community leaders, private industries, and numerous military families he has touched will always live on. We'll miss you Hal.